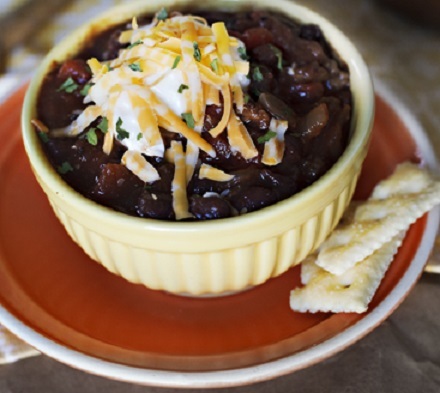 Mix together and let sit at room temperature for several hours to allow the flavors to combine. Place a skillet over medium-high heat. Add the sesame oil, ground pork, grated ginger, and garlic. Brown the ground pork and break it into small pieces with a wooden spoon. Once the pork is mostly cooked through, stir in the shredded cabbage, bell pepper, green onions, honey, oyster sauce, and soy sauce. Cook until the cabbage has softened, about 5 minutes. Remove from the heat and let cool for 10 minutes. Lay each wonton or tortilla out on a kitchen towel and scoop 1/6 of the pork filling on one end of each wrap. Brush the edges with egg to seal. Fold the edge of the egg wrap over the filling and fold the sides inward, like a burrito. Roll the wrap, tucking in the edges to fully enclose the filling. Brown on all sides in hot vegetable oil and drain on paper towels. Serve with Chinese mustard or dipping sauce. Bring a large pot of salted water to a boil. Cut the core off each of the cabbage leaves and add to boiling water. Boil for 5 minutes, until the cabbage is soft and tender. Use a slotted spoon to transfer cooked cabbage to a plate of paper towels to drain. Prepare the pot sticker filling by combining the ground pork, chopped green onions, sesame oil, soy sauce, and ground ginger in a skillet and cook until the pork is brown. Place ⅛ of the filling on each cabbage leal and fold in the sides and then roll up the cabbage to enclose the filling. Brush the skillet with vegetable oil and place the cabbage rolls in the pan. Cover the pan and cook the rolls over low heat for 5 minutes. Turn the rolls over, cover and cook for another 5 minutes. Serve with a dipping sauce. Heat the peanut oil in a large skillet over medium-high heat. Add the chicken tenders and cook until browned on both sides, about 5-6 minutes. Remove to a plate to cool. Then cut the tender into small pieces. Mix together the garlic, celery, green onions, hoisin sauce, soy sauce, sesame oil, rice wine vinegar, ginger and Sriracha in the skillet the chicken was cooked in. Cook 2 minutes and then add the chopped chicken. Cook until hot. To serve, spoon several tablespoons of the chicken mixture into the center of a lettuce leaf and roll up. Side dish for Asian wraps. In a large bowl, stir together the ingredients including the uncooked broccoli florets. Toss to combine. Let sit for several hours at room temperature. Toss again before serving. I am sharing with you some of my most favorite and popular party foods. They will quickly disappear. Try some of them for your next get-together. Serve with your favorite cheese, cut into slices, and breadsticks. Combine the ingredients in a bowl and let sit for 1 hour. Serve at room temperature. Store in a covered container in the refrigerator for up to 2 weeks. Place the eggs on a platter and chill. Arrange the eggs and salmon on a serving platter. Sprinkle chives over both and serve. To make this ahead: cook the meatballs and prepare the sauce separately. Refrigerate separately until serving time. Then reheat the sauce, add the meatballs and cook until the meatballs are hot. Pour into a serving bowl. Combine all of the meatball ingredients in a medium mixing bowl and mix thoroughly. Using a cookie scoop form into 21-22 one inch balls and saute in peanut oil over medium heat until cooked through and crispy. Drain on paper towels. Combine the sesame oil, vinegar, soy sauces, chili paste, water, sugar and arrowroot in a small saucepan. Reserve the scallions. Whisk until combined and bring to a boil. Simmer for five minutes until thickened. Add the cooked meatballs and scallions to the thickened sauce and stir to coat. Heat for a few minutes. Pour into a shallow serving dish. Serve with fresh celery and carrot sticks and thinly cut radish rounds. Combine the olive oil, lemon juice, onion, parsley, garlic, capers, salt, and pepper in a small bowl. Place the tuna in a food processor and pulse to break it up. Turn the speed to low-speed and add the olive oil mixture, a little at a time, until the ingredients are thoroughly combined and the mixture is smooth. Pour into a small serving bowl and chill. Serve with fresh-cut vegetables and crackers on the side. Combine all the ingredients in a large bowl; except the bread slices. Refrigerate until ready to serve. Lightly grill the bread slices and then brush them with olive oil. Spoon 1 heaping tablespoon of the tomato mixture onto each bread slice and arrange on a serving plate. Use an 8 by 8 silicone baking pan or line a similar sized metal or glass baking dish with foil or parchment paper so it hangs over the edges by about 1 inch. Spray the prepared pan completely with cooking spray. Pour the batter into the pan and bake until the top is crispy and a toothpick inserted into the middle comes out with a few crumbs, about 30 minutes (40 minutes if not using a silicone pan). What kinds of appetizers should you serve on Thanksgiving or before other holiday dinners? What kinds of appetizers you serve depends on how much you want to spend and what type of event you’re cooking for. Don’t think, however, that appetizers have to be fancy and unusual. It’s best to lean toward the practical side and serve appetizers that most people like. For a formal or semi-formal party: Serve such items as chilled shrimp with a dipping sauce, oysters on the half shell, mini quiches, stuffed mushrooms, finger sandwiches, tartlets, baked brie with crackers and cocktail meatballs. 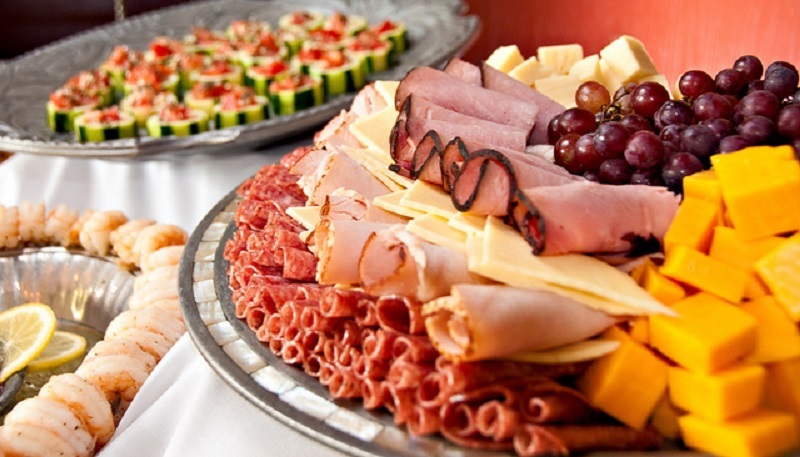 For home-style parties: Serve various chips and dips, meat and cheese trays, cracker trays, cocktail sausages, cheese balls, chicken nuggets and veggies. Generally, serving appetizers is a good idea. Appetizers give guests something to do, while waiting for dinner. This time of year, however, can turn into an eating frenzy. Cocktails, dips laden with fat, fried food and lots of sweet desserts can be the usual fare. Not exactly healthy. While you don’t necessarily have to eat like you are dieting, remember that you may be eating a lot more calories at these holiday parties than you really want or need. Thanksgiving dinner alone can be over indulgent. You, also, want appetizers that won’t ruin your guests appetites for the main event. Appetizers are just that – a little something in anticipation of the main meal. They should not be the main meal, unless this is a cocktail party where dinner will not be served. Don’t overlook the power of a good vegetable tray, especially served alongside a low-fat dip with great flavor. Here is a tip for giving the vegetables good taste – boil the vegetables for one minute in abundant salted water, drain, chill in ice water, drain and dry the vegetables. Chill in the refrigerator.until serving time. It’s easy to go overboard when it comes to pre-dinner cheeses. Serve lower fat cheeses like Swiss, fresh mozzarella or well aged Italian hard cheeses that can be eaten without crackers. Wrap small pieces of cheese or fruit in pieces of prosciutto for a delicious appetizer. Healthier fresh salsas and bean purées or hummus make for smart dips. Serve baked snacks instead of fried. Popcorn is a healthy whole grain and can be dressed up with flavorful herbs and spices for a special-occasion treat. For recipes that call for a cup of regular mayonnaise, blend 1/2 cup of light mayonnaise and 1/2 cup of fat-free sour cream or Greek yogurt. You’ll cut more than 1,000 calories and more than 130 grams of fat for every 1 cup. Nuts are an excellent party snack, especially almonds or walnuts because they offer the best health benefits. They are a great protein source and the fat in them will help keep you fuller and not as tempted to binge. Be mindful of what drinks you choose and be careful not to go overboard—especially during the appetizer course. Remember, too, that the size of the glass and serving makes a big difference. A serving of wine is 5 oz. Here are some easy appetizers you may like to prepare for your future holiday gatherings. Good on a vegetable tray. 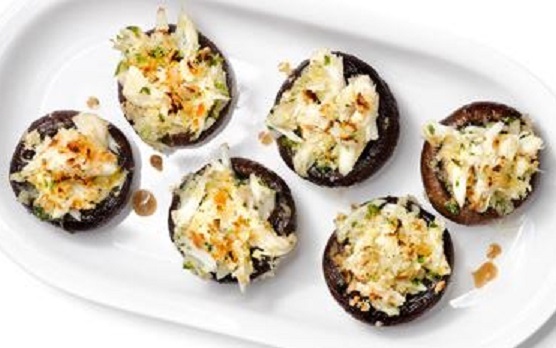 Prepare the mushrooms: Preheat the oven to 400 degrees F. Toss the mushrooms with 1 tablespoon olive oil, the garlic powder and season with salt. Arrange the mushrooms snugly in a baking dish and bake until tender, about 15 minutes. Heat the remaining 1 tablespoon olive oil and the butter in a skillet over medium heat. Add the shallot and crab meat; cook until the shallot is soft, about 3 minutes. Stir in the wine and cook until slightly reduced, about 1 minute. Add the lemon zest, juice and parsley. Season with salt and pepper. Remove the skillet from the heat and push the crab mixture to one side of the skillet; let any excess juices collect on the opposite side. Remove the mushrooms from the oven and preheat the broiler. Stuff the mushrooms with the crab mixture. Toss the panko with the juices in the skillet; sprinkle over the mushrooms. Broil until golden, about 2 minutes. Squeeze lemon wedges on top. Poach chicken in enough chicken broth to just cover the breasts for about 8 minutes or until an instant-read thermometer in the thickest part of the meat registers 165°F. Set aside to cool. Peel apples, remove core and chop fine and coat in lemon juice. Finely chop cooled chicken, season with salt and pepper and cinnamon, stir in mayonnaise and chopped parsley, mixing well. 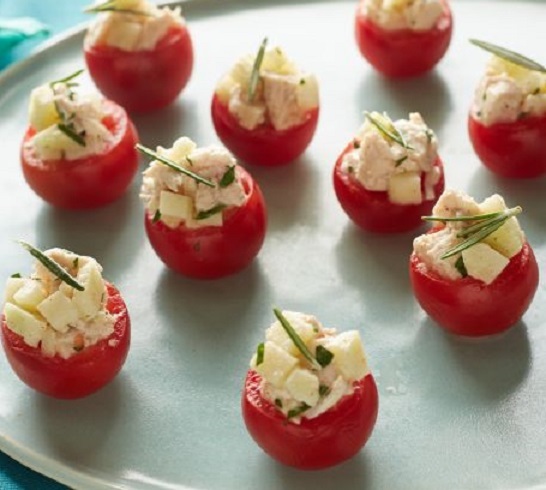 Spoon chicken salad into tomatoes and garnish with the rosemary leaves. Chill until serving time. To make the sauce: In a small bowl, stir together the yogurt, capers, shallots and season with salt and pepper, to taste. Let stand to allow flavors to mingle. 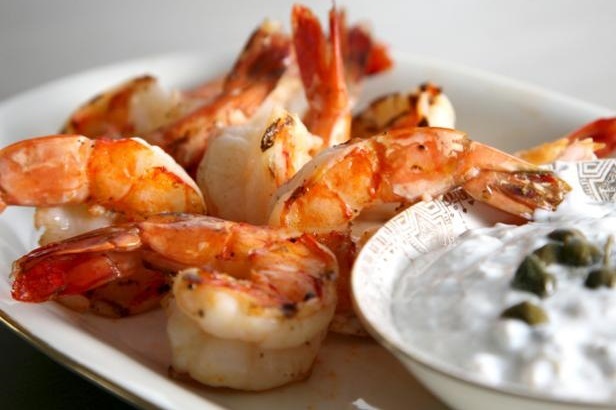 To make the shrimp: Mix shrimp with oil, lemon juice, garlic, oregano and season well with salt and pepper. Place shrimp on a broiler pan. Broil the shrimp, turning once, until bright pink and just cooked through, 1 1/2 to 2 minutes per side. Serve with the sauce. Preheat oven to 450°F and set racks in upper and lower thirds of oven. Grease or line 2 baking sheets with parchment or foil. Combine the chickpeas, onion, garlic, parsley, spices, flour, baking powder, half of the lemon juice, 1 tablespoon olive oil and salt and pepper to taste in a food processor. Pulse until well combined but mixture is still relatively coarse. You do not want a puree. Using your hands or a small cookie scoop, shape the mixture into about 24 balls (roughly 1½ inches in diameter) and arrange on the the prepared baking sheets. Flatten each slightly and brush the tops with the remaining olive oil. Bake for 10 to 12 minutes, then turn patties (rotating the trays when you take them out) and bake for another 10-12 minutes or until brown. Serve with hummus or yogurt sauce..
A health food for some, a gourmet food to others and a scary little fish for still others. This tiny little fish swims in schools throughout most of the world’s oceans. Most become food for bigger fish, but sea-going cultures all over the world consume these tiny creatures and have incorporated them into their respective cuisines. This fish is a small, warm water relative of the herring, a Northern European staple, and just as the peoples of the north salted their herring to preserve them, the anchovy has long been salted by fishermen and packers in the Mediterranean where it is a staple. While they were usually consumed fresh and either grilled or marinated, they always preserved some of their catch for later use. Before the advent of canning and refrigeration, salt was the predominant way to preserve them. Salting anchovies changes both their taste and texture. Although Europeans seem to prefer buying whole salted anchovies from their local market, salted anchovies show up in the US mainly in the form of small flat or rolled fillets packed with olive oil – like sardines. 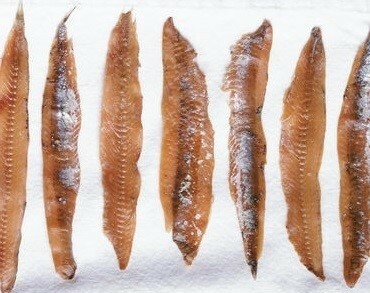 Salt-packed anchovies are sold as whole fish with heads removed; while oil packed anchovies are sold de-boned or in pieces. Oil packed fillets are ready to use, while salt packed anchovies must be de-boned and soaked to remove the excess salt. After rinsing, salt-packed anchovies have a deep flavor with less saltiness; while oil packed anchovies are saltier due to being preserved in olive oil. In most cases they can be used interchangeably in recipes. 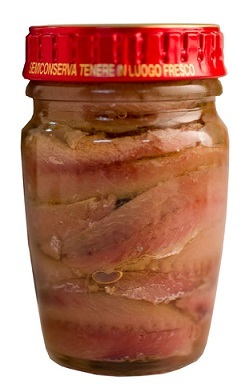 Salt-packed anchovies can be stored covered in the refrigerator, where they will keep almost indefinitely. Salt-packed anchovies must be soaked prior for use in a recipe. There are three commonly used soaking liquids: cold water, milk or a combination of cold water and dry white wine. Whatever liquid you choose, use enough to completely cover the anchovies and soak them for approximately 30 minutes. (Many people will change the liquid after about 15 minutes.) You can soak the salt-packed anchovies before or after removing the backbone. 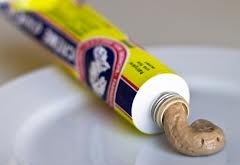 Anchovy paste can make an acceptable substitute for anchovies in some recipes. (Use ½ teaspoon for every anchovy called for.) 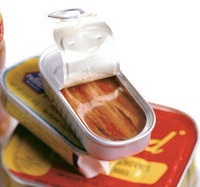 Anchovies can be used in recipes as a seasoning ingredient rather than as the main ingredient. Many recipes call for one or two mashed or minced fillets that disappear into the sauce as it is cooked. There are well-known recipes where the anchovy is the main ingredient For example, in an anchovy and garlic paste that is used to spread on slices of crostini or in Bagna Cauda, an anchovy and garlic dip, that is traditional in Northern Italy. 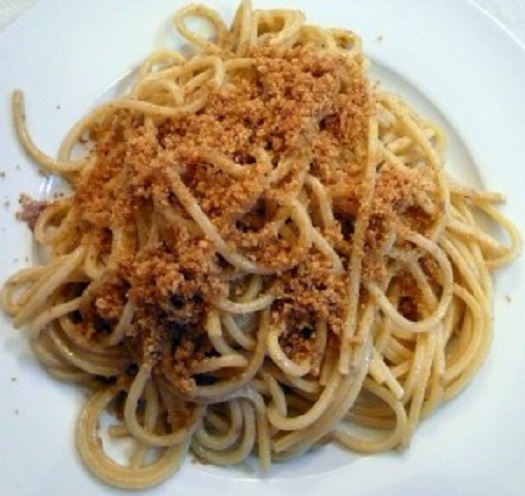 The Italian cuisines of Campania, Calabria, and Sicily often rely on anchovies for pasta dishes, such as, Spaghetti con Acciughe that includes anchovies, olive oil, garlic, red pepper flakes and bread crumbs. Anchovies are often minced or mashed into vinaigrettes to season vegetables and salads. Anchovies are high in Omega-3 polyunsaturated fatty acids, which can help lower cholesterol and reduce the risk of heart disease. Anchovies are also a good source of essential vitamins and minerals, such as Vitamin E, Vitamin D, Calcium and Selenium. Anchovies are an excellent source of protein – delivering 9 grams of protein for only five anchovies. Due to their size and short life span, Anchovies contain lower levels of heavy metals (mercury, lead, cadmium and arsenic,) and other environmental toxins – especially when compared to tuna and other larger fish. Once a tin or jar of anchovies is opened, you can store the anchovies in the refrigerator (discard the tin and store them in a sealed container) for up to two months: just make sure the fillets are covered in oil during that time to keep them fresh. Here are some recipes where you can incorporate this tiny fish into your cooking. I prefer to purchase anchovy fillets packed in extra-virgin olive oil. 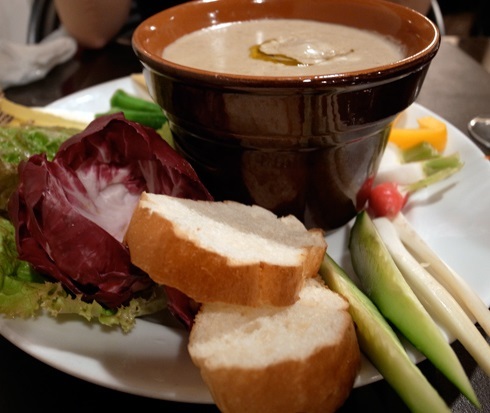 Bagna Cauda is the Italian version of fondue. Raw vegetable pieces are dipped into the hot, garlicky, anchovy-flavored oil until warm – and then eaten, catching every little garlicky drip on a fresh piece of Italian bread. 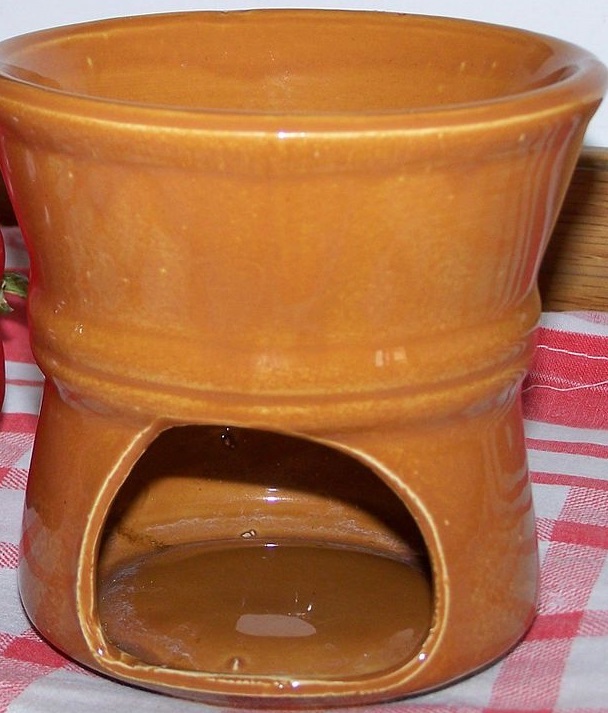 It helps to have a Bagna Cauda “pot”, but a fondue dish with the Sterno flame underneath works — as does an electric wok on low. Place the olive oil, garlic and anchovies in a skillet over low heat. Stir until the anchovies have “melted” and the mixture looks thickened. Whisk in the butter until melted, then remove the skillet from the heat and whisk again until creamy looking. Pour into a dish that can stay heated at the table — like a fondue pot, Bagna Cauda pot, or electric skillet or wok. To serve: Dip vegetable pieces into the hot oil for a few minutes and use a bread slice to absorb the dripping oil on the way to your mouth. Cut the peppers into 2-inches wide strips. Combine tuna, lemon juice, capers and anchovies in a medium bowl. Lay the pepper strip flat, inside facing up, and put a tablespoon of the tuna stuffing at one end. Tightly roll up the pepper strip. Place the pepper roll-ups on a serving platter. Grind some black pepper over the stuffed peppers and drizzle with balsamic vinegar, if using. Sprinkle with chopped parsley. Serve slightly chilled or at room temperature. Mince 6 of the anchovies and chop the remaining six coarsely. Set aside. 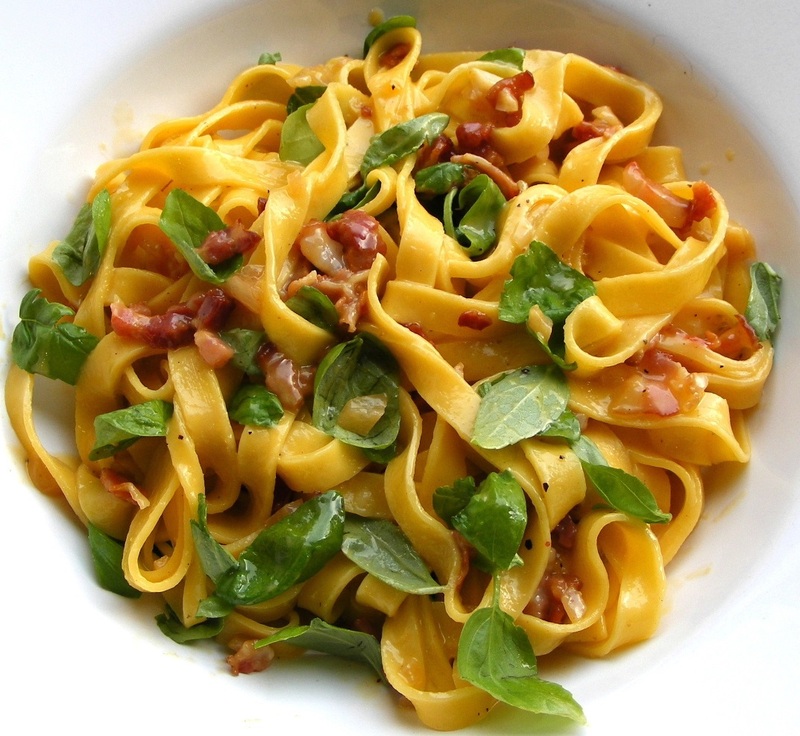 Cook pasta in plenty of salted boiling water until “al dente” – about 10 minutes. While pasta is boiling, put olive oil, garlic, minced anchovies and chili flakes in a deep-sided frying pan or pot and saute over low heat until the anchovies are “dissolved.” Stir in the parsley and remaining anchovies and turn off the heat. Drain the pasta, reserving 1 cup of the cooking water. Transfer pasta into the pan containing the anchovy sauce and toss until pasta is well coated. Add some reserved cooking water if the pasta seems dry. Put 2 tablespoons of bread crumbs aside. Add remaining bread crumbs to the pasta and toss again. Sprinkle remaining breadcrumbs on top ot the pasta before serving. Halve the head of garlic crosswise and wrap them in foil, cut side up. Roast in a 450°F oven until tender, about 45 minutes. Let cool, then squeeze the cloves into a medium bowl. Add the anchovies and mash them with a fork into a paste. Whisk in chopped parsley, vinegar, fresh lemon juice, Dijon mustard, sugar and crushed red pepper flakes. Add the extra-virgin olive oil and whisk until combined. Season with salt and pepper. Serve over tomato slices. Mix the chopped plum tomatoes, tomato paste and herbs together in a mixing bowl. Set aside. Rinse and dry the fish on paper towels and cut into 1 inch chunks. In a large saucepan over medium heat, warm the olive oil and saute the onion, garlic and celery until soft. Reduce the temperature to low and add the fish and the tomato mixture to the saucepan. Add salt and pepper to taste and the wine. Cook uncovered for 30 minutes or until the fish is just cooked and the liquid has reduced to a thick soupy consistency. Add the mussels and shrimp and cook until the mussels open. Discard any that do not open. Pound together the pesto ingredients with a pestle & mortar or process in a food processor to make a rough paste. 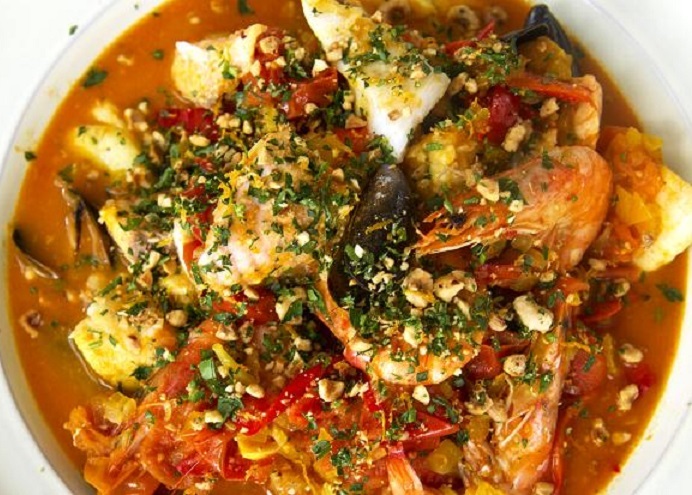 Remove the bay leaf and serve the fish stew in shallow bowls, topped with a tablespoon of the pesto. Pat the lamb chops dry with paper towels. Season them with salt and pepper and let rest for 15 minutes. Over medium-high heat, warm a skillet large enough to hold all the chops in one layer. Add the oil and when it shimmers, add the anchovies and capers. Cook, stirring, until the anchovies break down, about 3 minutes. 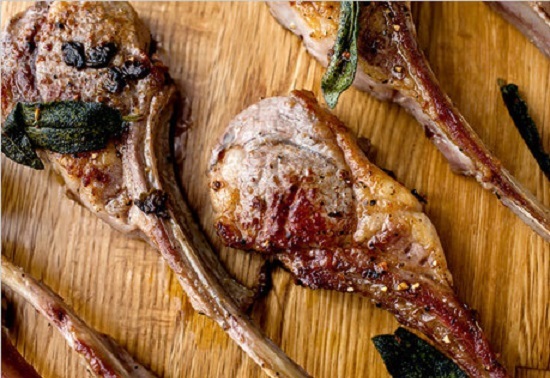 Arrange the lamb chops in the skillet and cook, without moving them, until brown, about 3 minutes. Turn them over, and add the sage leaves and red pepper flakes into the pan. Cook until the lamb reaches the desired doneness, about 2 minutes for medium-rare. Arrange the chops on serving plates. Add the garlic to the pan and cook for 1 minute, then spoon the sauce over the lamb. Serve with the lemon wedges. 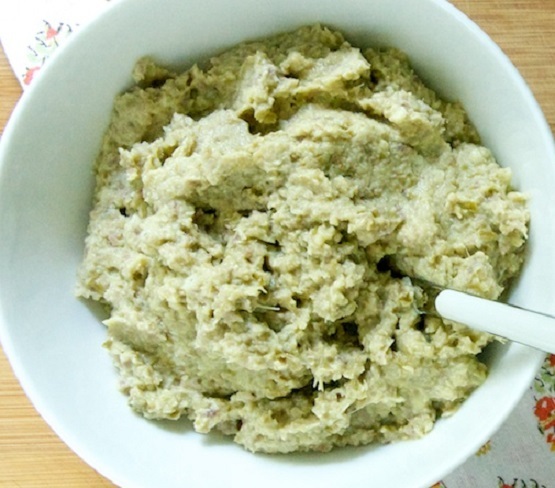 Puree olives, capers, anchovy, thyme, and olive oil together in a food processor or chop by hand. Make a slit in the side of each fig and spoon about 1/2 teaspoon of tapenade into the fig. Pinch opening closed. 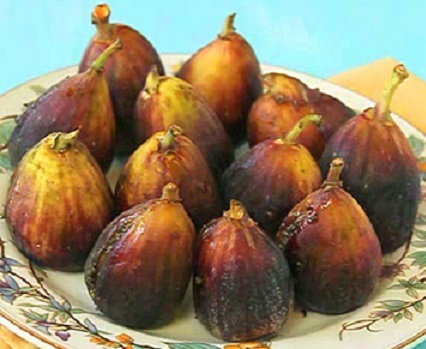 Allow 3 figs per person. Football season is back! And the return of America’s most popular sport means the return of many beloved traditions – including lots of fried and fatty foods washed down with calorie-laden drinks. 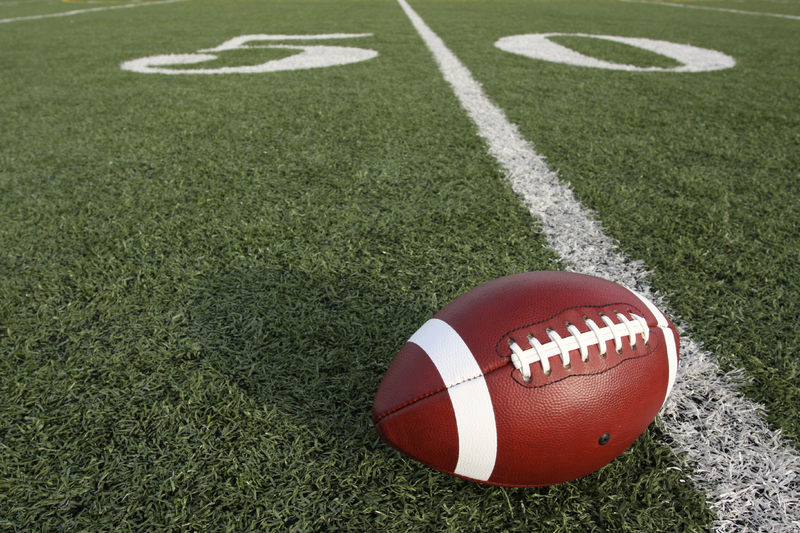 When football season arrives, there seems to be a different type of energy floating around in the air. Rivalries between friends pop up for 18 weeks or so. Saturdays and Sundays (and now we can add Monday and Thursday evenings) are filled with large quantities of beer and food; not to mention, sitting in front of the TV most of the day. Your waistline won’t be affected if you skip a workout or indulge every now and then. However, for 18 plus weeks indulging in football style food (chips, dip, pizza, wings…you know…) could lead to weight gain. Instead of sabotaging your healthy routine, why not do something about it. Create healthier snack options and incorporate exercises throughout the day. Give these ideas a try next time you find yourself glued to the couch watching football. Baked pita crisps and cut-up raw veggies served with salsa, guacamole, hummus, bean or other low-fat dips. Snack mix made with mini whole-grain cereal squares, seeds (toasted sunflower or pumpkin), unsalted nuts, mini-pretzels, dried cranberries. 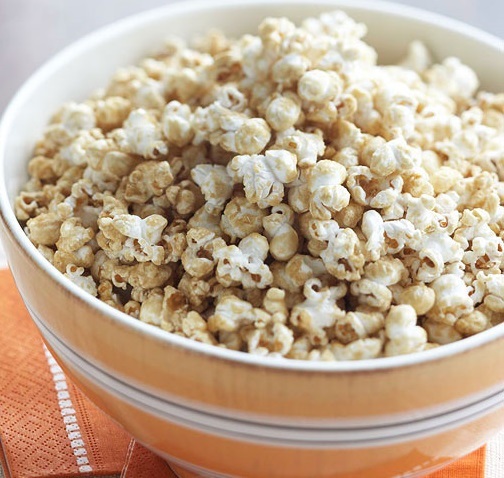 Popcorn – air-popped or microwaved (save money – to make about 5 cups – put 1/4 plain popcorn in a brown paper lunch bag, fold over the top a few times and press closed, cook on high for about 2 1/2 – 3 minutes), add 1 tablespoon olive oil or melted margarine high in omega-3’s, low in saturated fat and without trans-fat and seasonings that you like; go light on the salt. Pistachios or peanuts in their shells slows down the eating. Salsa: Use in place of mayonnaise-based dips to save loads of calories and fat grams. Greek yogurt: Use in place of sour cream for dips. Greek yogurt offers the same flavor at a fraction of the calorie tally. We all like to munch on crunchy snacks while watching football. However, chips and a dip are not the best option, especially when the whole bag can be devoured in the span of an hour. Why not swap the chips for nutritious veggies? Put a variety of bright colors on the table. It’s eye-catching and full of flavor to lay out carrots, bell peppers, sugar snap peas, cherry tomatoes or broccoli. For Subs choose 100 percent whole-grain bread with fresh turkey or grilled chicken, avocado and lots of veggies. Cut the sandwiches in quarters to keep portion sizes in check. 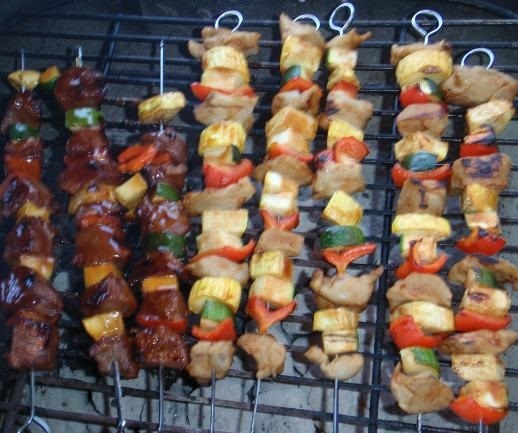 Who doesn’t like grilled food? Grill instead of ordering in pizza and wings. Swap the Buffalo wings for lean chicken breast tenders. Chicken breast (without skin) is a great source of protein and a better option than fatty, breaded wings. To get your Buffalo wing fix, grab your favorite hot sauce and drizzle it on the chicken as it grills on the BBQ. Grill sliders with interesting toppings, instead of regular size burgers. During commercial breaks move around. Stand up and stretch or take walking breaks. Create a challenge with your friends and do x-number of push ups, mountain climbers, jumping jacks, planks, etc. If you are at the game, take the stairs instead of the escalator or elevator. Get up and stretch or walk around the stadium periodically. Remind yourself to only eat if you are hungry – not just for something to do during the game. Here are some healthy recipes for your game day fun. 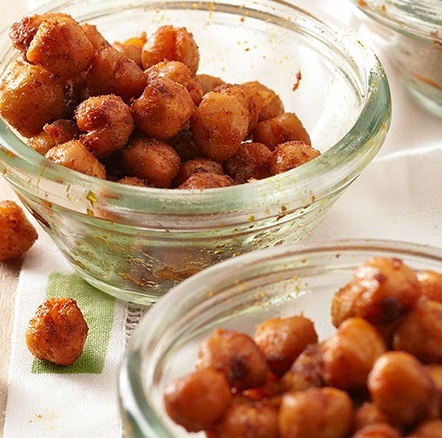 Preheat the oven to 450 degrees F. In a medium bowl combine garbanzo beans, oil, barbecue spice, paprika, chili powder, garlic salt, celery salt and onion powder. Spread in an even layer in a 15x10x1-inch baking pan. Roast about 30 minutes or until browned and crisp, stirring once halfway through roasting. Cool completely. In a Dutch oven heat and stir the brown sugar, granulated sugar, margarine and salt over medium heat until just boiling and sugar is dissolved. Stir in vanilla. Add popcorn and toss until coated. Place coated popcorn in a shallow roasting pan. Bake, uncovered, in a 300 degrees F oven for 15 minutes, stirring once. Transfer to a large piece of foil to cool. Divide dough into 10 equal portions. Roll each portion into a 15-inch-long rope. To shape each pretzel: hold one end of a rope in each hand and form a U-shape. Cross the ends over each other and then twist. Then lift the ends across to the bottom of the U-shape; press to seal. Arrange shaped pretzels on the prepared baking sheet. Cover with waxed paper; let stand in a warm spot for 20 minutes. In a small bowl stir together Parmesan, Italian seasoning and garlic powder. 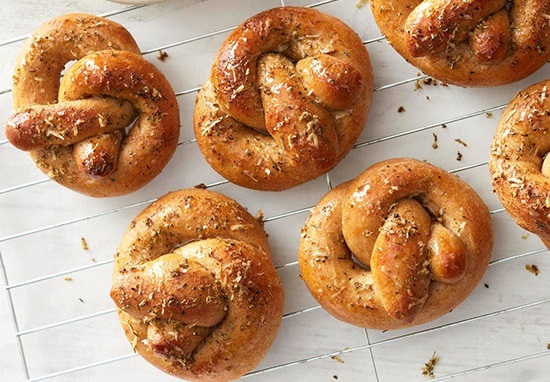 Brush pretzels evenly with the melted butter and sprinkle with the Parmesan mixture. Bake for 15 to 18 minutes or until browned. Transfer baking sheet to a wire rack. Serve warm or cool completely on the baking sheet on a wire rack. In a small bowl combine yogurt, maple syrup, the 1/4 teaspoon cinnamon, the nutmeg and cloves. If desired, sprinkle dip with additional ground cinnamon. 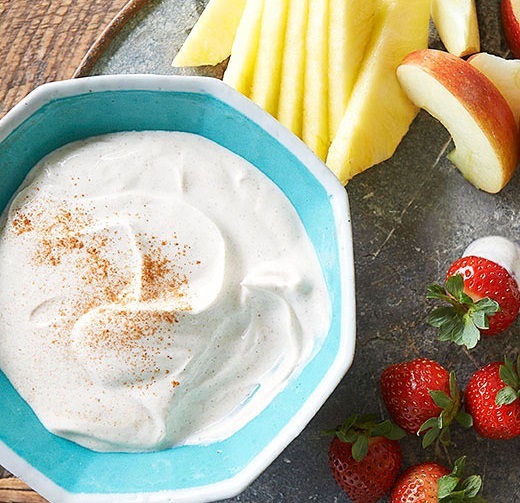 Serve fruit with the dip. Make a double batch of the roasted red pepper dip and add your favorite cut up vegetables in a bowl alongside the shrimp. Thaw shrimp, if frozen. Peel and devein shrimp, leaving tails intact. Rinse shrimp; pat dry with paper towels. 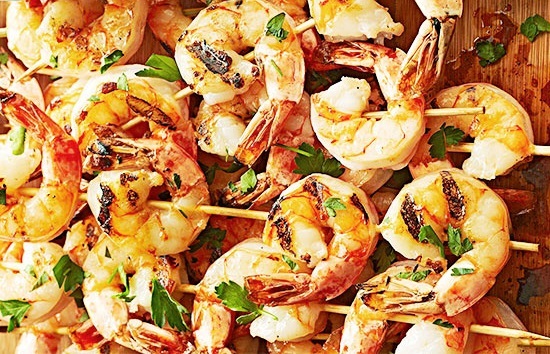 Thread shrimp onto small wooden (soaked in water) or metal skewers, leaving 1/4 inch between pieces. Lightly brush shrimp with the oil. Place cooked shrimp skewers in a shallow dish. Cover and chill for 1 to 24 hours. 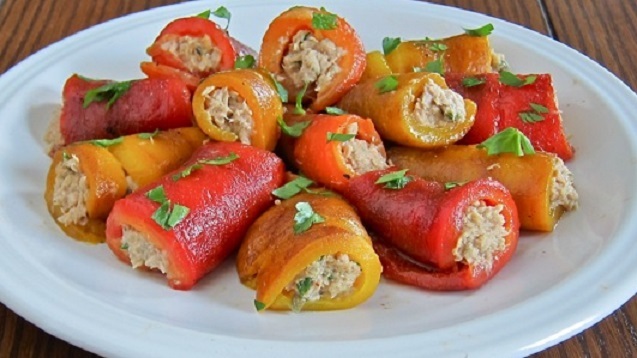 For dip: in a blender or food processor combine roasted peppers, sour cream, salt and black pepper. Cover and blend or process with on/off pulses until mixture is coarsely chopped. Transfer to a small bowl. Cover and chill for 1 to 24 hours. Serve shrimp skewers with dip. Put a large nonstick soup pot on medium-high heat and add the oil and beef. Break the meat up into small chunks with a wooden spoon. Add onions and cook, stirring occasionally, until onions are tender, beef is no longer pink and no excess liquid is left in the pan (about 5 minutes). Add remaining ingredients except the salt, pepper, cheese and sour cream. Stir, then cover the pot and cook over low heat for at least 2 hours, stirring occasionally. Season with salt and pepper. Let cool slightly, then remove the bay leaf. Pour into serving bowls or mugs and top each with cheese and sour cream, if desired. Heat the oil in a small frying pan over a medium heat. Add the onion and cook for five minutes, or until softened. Add the garlic and spices and cook for a further two minutes. Remove from the heat, pour into a bowl and cool to room temperature. 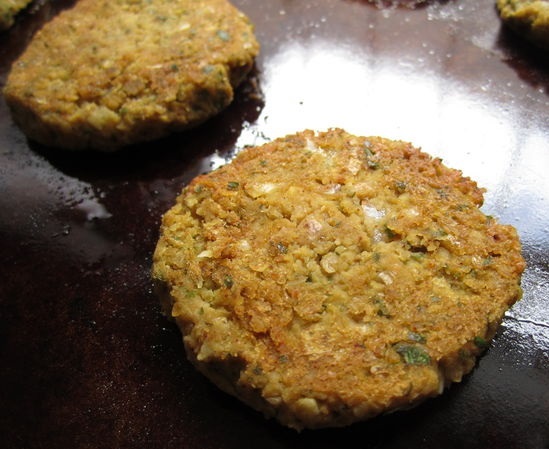 Once the onion mixture has cooled, add the turkey, bread crumbs, egg, salt and parsley and mix thoroughly. Using wet hands, shape tablespoons of the meatball mixture into 1 ½ inch balls and then transfer to a baking pan sprayed with olive oil cooking spray. Preheat the oven to 400 degree F. Bake the meatballs in the oven for 20 minutes, until cooked through and golden brown. Turn over halfway through baking. Add the baked meatballs to the marinara sauce and heat. 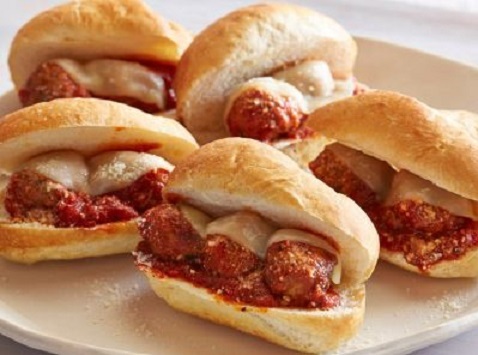 Spoon the hot meatballs with some sauce over the bottoms of the rolls. Place a slice of mozzarella, cut in half, over the meatballs. Spread a little more sauce over the meatballs, then fold the tops of the rolls over and serve. The sandwiches can be assembled and wrapped individually in foil. Rewarm the sandwiches in the oven at 350 degrees F for about 15 minutes before serving. In a large saucepan, heat the oil over medium heat. Add the onions and garlic and saute until the onions are translucent, about 10 minutes. Add the celery, carrots and the salt and pepper. Saute until all the vegetables are soft, about 10 minutes. Add the tomatoes and Italian seasoning. Simmer, uncovered, over low heat until the sauce thickens, about 1 hour. The sauce can be made 1 day ahead. Cool, then cover and refrigerate. Rewarm over medium heat before using. What Kind of Basil Do You Have? Basil comes in many different varieties, each of which have a unique flavor and smell. Described below are 12 varieties, but there are even more – well over sixty. I never realized that there were so many varieties of basil until I shopped at a nursery for my plants. 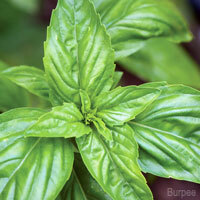 If it weren’t for its distinctive smell, it would be difficult to recognize all the different kinds of basil. Leaves range from a mint color to dark green to purple and grow in size from tiny to large – some are even ruffled! 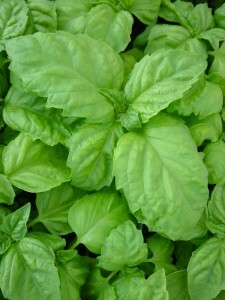 Basil is traditional in Italian, Mediterranean and Thai cuisine. It is superb with veal, lamb, fish, poultry, white beans, pasta, rice, tomatoes, cheese and eggs. It blends well with garlic, thyme and lemon. Basil adds zip to mild vegetables like zucchini, summer squash, eggplant, potatoes, cabbage, carrots, cauliflower, parsnips, spinach and to the soups, stews and sauces that contain these vegetables. Basil is also one of the ingredients in the liqueur, Chartreuse. Bring the wonderful fragrance of basil indoors by incorporating them in potpourri, sachets and dried winter bouquets. 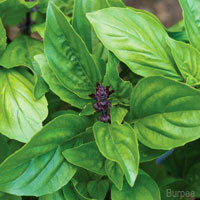 The sweet-scented Opal basil and Thai basil are particularly good for these projects. 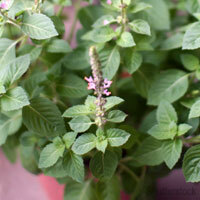 Other fragrant varieties include lemon, lime and cinnamon basil. With 2-inch, glossy green leaves and purple flowers, Christmas basil adds fruity flavor to salads and drinks, and the plants are gorgeous in the landscape. 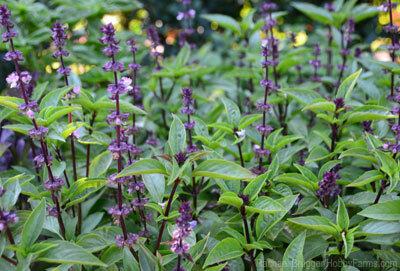 A beautiful border plant, it averages 16 to 20 inches tall and combines the attributes of both Sweet and Thai basil. This basil variety has a delightful fragrance and spicy flavor. 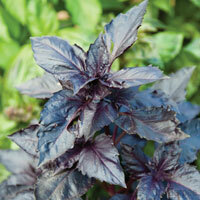 A beautiful, 25 to 30 inch tall plant with dark-purple stems and flowers accented with small, glossy leaves. 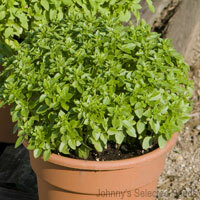 it’s a favorite basil to use for fresh arrangements, garnishes and in fruit salads. 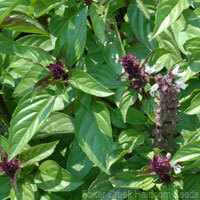 Dark Opal basil adds color to fresh summer floral displays and depth to dried arrangements and wreaths. Beautiful and spicy in a salad or as a garnish, it can also be made into pesto, which adds an unexpected color and flavor to your pasta or bruschetta. The plants are attractive in the herb garden, ranging from 14 to 20 inches in height with purple stems, flower and leaves. 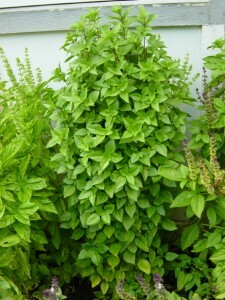 This basil variety can be added to salads and fish dishes. A sprig of Lemon basil in a glass of iced tea is particularly delightful on a hot summer day. The 20 to 24 inch plants are light green with white flowers and 2½ inch long leaves. With small green leaves on compact 12 to 16-inch plants with white flowers, this basil variety’s lime scent and flavor makes it great in fish and chicken dishes. A simple syrup infused with Lime basil is a delicious addition to tea and margaritas. 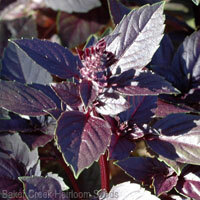 Spicy Bush basil has tiny leaves on small, mounded plants, which are perfect for pots or lining the garden in bonsai-like fashion. 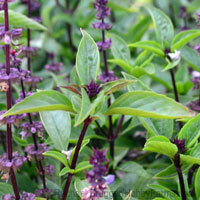 It only takes a few of Spicy Bush basil’s intensely flavored leaves to add a punch to a sauce or soup. 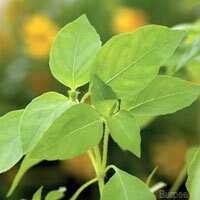 The plants are a soft green and about 8 to 10 inches in height and width, with 1/2 to 1 inch long leaves. A feathery variation of Dark Opal, Purple Ruffles adds another dimension to the landscape, floral arrangements or garnishes. 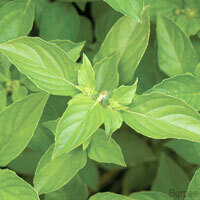 It has the same flavor as Opal basil and can be used similarly. It is a 16 to 20 inch-tall plant with 2 to 3 inch long leaves. An Asian variety with a distinct, spicy, anise-clove flavor, quite unlike common sweet basil, sweet Thai is a must for Asian cuisine and makes a nice addition to the herb garden for fragrance and color. It has purple stems and blooms with green leaves reaching 12 to 16 inched tall. Greek Columnar’s attractive appearance is in the plant’s dense columnar shape. It does not flower, so the plant can be maintained throughout the year. It can be grown indoors in the winter. This basil has a pungent flavor that is best for stews and hearty dishes. Lettuce Leaf Basil has the look of green, wrinkly lettuce but packs a bigger punch. The spicy flavor is typical of basils and tastes great with fresh tomatoes, in salads (your guests will be surprised by the rich flavor of what looks like a regular salad leaf!) and in any type of Mediterranean dishes. Pinch back the flowers to make a fuller plant. Resources: Pantry Garden Herbs and Hobby Farms. 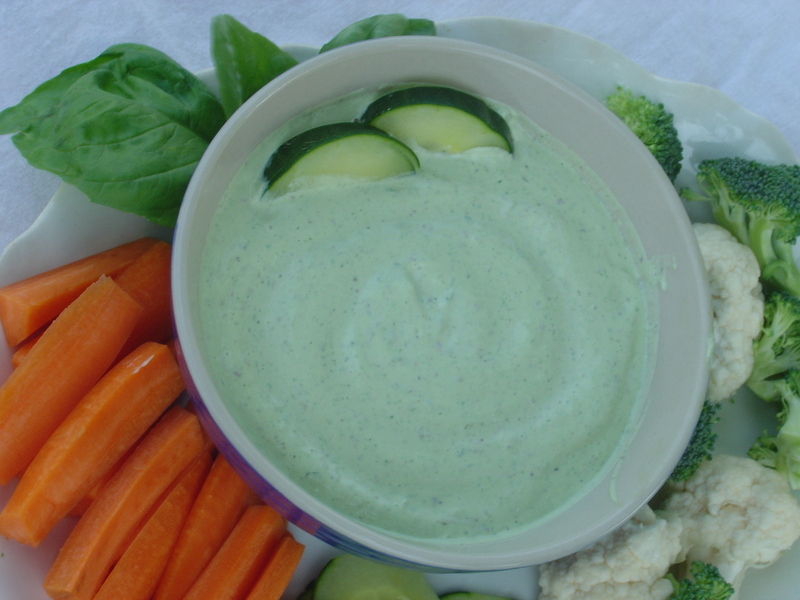 A cool and refreshing dip for fresh vegetables and even chips and pretzels. Place the sour cream, mayonnaise, mustard and lemon juice into a blender, then add the basil leaves. Pulse until the basil is incorporated throughout the mixture. Chill for at least 20 minutes. This will keep in the refrigerator for 3 days. Gently combine the bread, vegetables, basil, and cheese together. Sprinkle with salt and pepper to taste and drizzle with vinegar and oil. Chill. After draining the cooked pasta, return the pasta to the cooking pot and place over medium heat. Toss the pasta with the onion mixture, add chicken broth. Beat the eggs and pour over the hot pasta stirring constantly to coat pasta and cook for about 3 minutes. Add Parmesan, bacon and torn basil leaves. Serve immediately. 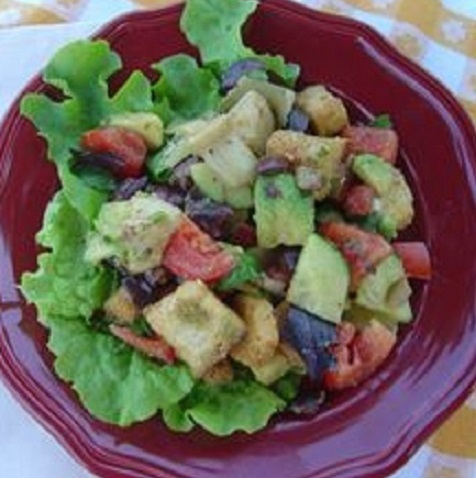 Any number of toppings can add additional flavor: chopped fresh tomato, diced squash, croutons or Parmesan cheese. Heat the olive oil in a large, thick-bottomed pot over medium-high heat. Sauté onions, garlic and salt until vegetables start to soften. Stir in pepper, zucchini and the stock. Bring to a simmer and cook until the pepper is soft, about 10 minutes. 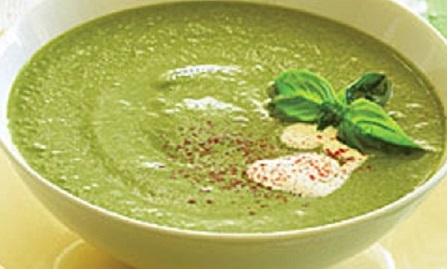 To make the aioli, place mayonnaise, garlic and basil in a blender; purée until smooth. 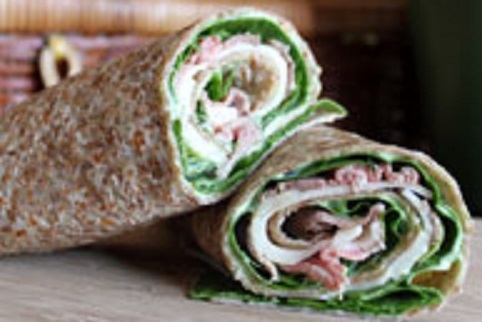 Divide the mixture into four portions and spread each wrap evenly with aioli. Lay the spinach leaves evenly over the aioli. Place beef, then Provolone in single layers over the spinach. Roll up tightly. The onion or allium family is a large and diverse one containing over 500 species. It has not one, but four possible wild plants it could have evolved from, all of which originally grew in central Asia, according to many archaeologists, botanists and food historians. Because onions are small and their tissues leave little or no trace, there is no conclusive evidence about the exact location and time of their origin. It is presumed that our predecessors discovered and started eating wild onions very early, long before farming or even writing was invented. Very likely, this humble vegetable was a staple in the prehistoric diet. Since onions grew wild in various regions, they were probably consumed for thousands of years and domesticated simultaneously all over the world. For over 4000 years, onions were used for medicinal purposes. Egyptians numbered over 8000 onion alleviated ailments and there is documentation which describes the onion’s importance as a food and its use in art, medicine and mummification. Onions grew in Chinese gardens as early as 5000 years ago and they are referenced in some of the oldest Vedic writings from India. There is evidence that the Sumerians were growing onions as early as 2500 B.C. 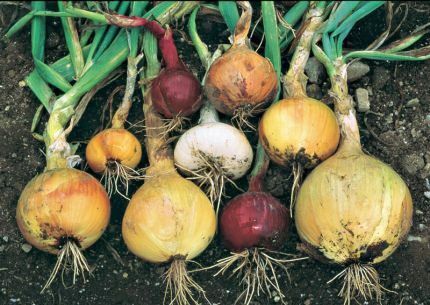 Onions may be one of the earliest cultivated crops because they were less perishable than other foods of the time. They were transportable, easy to grow and could be grown in a variety of soils and climates. In addition, the onion was useful for sustaining human life. Onions prevented thirst and could be dried and preserved for later consumption when food might be scarce. In India as early as the sixth century B.C., the famous medical treatise Charaka – Sanhita celebrates the onion as medicine “…a diuretic, good for digestion, the heart, the eyes and the joints”. It was the Romans who introduced the onion family to Europe. The Romans ate onions regularly and carried them on journeys to their provinces in England and Germany. Pliny the Elder, wrote of Pompeii’s onions and cabbages before he was overcome and killed by the volcano’s heat and fumes. He cataloged the Roman beliefs about the ability of the onion to cure vision, induce sleep, heal mouth sores, dog bites, toothaches, dysentery and lumbago. Excavators of the destroyed city would later find gardens where, just as Pliny had said, “onions grew”. The bulbs had left behind telltale cavities in the ground. By the Middle Ages, the three main vegetables of European cooking were beans, cabbage and onions. In addition to serving as a “…food for both the poor and the wealthy…” onions were prescribed to alleviate headaches, snakebites and hair loss. They were also used as rent payments and wedding gifts. The Greek physician, Hippocrates, prescribed onions as a diuretic, wound healer and pneumonia fighter. Likewise, Dioscorides, another Greek physician noted several medicinal uses of onions. The Greeks used onions to fortify athletes for the Olympic Games. Before competition, athletes would consume pounds of onions, drink onion juice and rub onions on their bodies. The first Pilgrims brought onions with them on the Mayflower. However, they found that strains of wild onions already grew throughout North America. Native American Indians used wild onions in a variety of ways, eating them raw or cooked, as a seasoning or as a vegetable. Such onions were also used in syrups, poultices, as an ingredient in dyes and even as toys. According to diaries of the colonists, bulb onions were planted as soon as the Pilgrim farmers could clear the land in 1648. During World War II, the Russian soldiers were so taken with the onion’s ability to prevent infection, that they applied onions to battle wounds as an antiseptic. And through the ages, there have been countless folk remedies that have ascribed curative powers to the onion, such as putting a sliced onion under your pillow to fight off insomnia. Yet today, onions are still considered a modern day preventative and healer. Herbalists use the plant for treating such ailments as earaches, hemorrhoids and high blood pressure. While garlic, another allium, has been highly touted as a cancer preventative, most people consume far greater quantities of onions. There are many varieties of onions, each with a different taste and/or texture. They are generally categorized by two types, green or dry onions. Green onions are ones that are harvested when roots are still very young and stems are green. These onions are typically used as toppings for salads and soups. Dry onions on the other hand are harvested after their shoots have died. These onions are distinguished by a papery shell that must be removed before cooking. Why Onions Are A Healthy Choice. The World Health Organization (WHO) supports the use of onions for the treatment of poor appetite and to prevent atherosclerosis. In addition, onion extracts are recognized by WHO for providing relief in the treatment of coughs, asthma and bronchitis. Onions are known to decrease bronchial spasms. An onion extract was found to decrease allergy-induced bronchial constriction in asthma patients. Onions are a very rich source of fructo-oligosaccharides. These molecules stimulate the growth of healthy bacteria and suppress the growth of potentially harmful bacteria in the colon. In addition, they can reduce the risk of tumors developing in the colon. Onions contain a number of sulfides similar to those found in garlic, which may lower blood lipids and blood pressure. In India, communities that never consumed onions or garlic had blood cholesterol and triglyceride levels substantially higher and blood clotting times shorter, than the communities that ate liberal amounts of garlic and onions. Onions are a rich source of flavonoids, substances known to provide protection against cardiovascular disease. Onions are also natural anti-clotting agents since they possess substances with fibrinolytic (means the ability to suppress blood clots) activity and can suppress platelet-clumping. The anti-clotting effect of onions closely correlates with their sulfur content. Onion extracts, rich in a variety of sulfides, provide some protection against tumor growth. In central Georgia, where Vidalia onions are grown, mortality rates from stomach cancer are about one-half the average level for the United States. Studies in Greece have shown a high consumption of onions, garlic and other allium herbs to be protective against stomach cancer. Here are a few characteristics about the most popular onions. Leeks are known for tasting like a cross between an onion and garlic. The edible part is the long white stem which is generally cut up and used to make soup and stews . These onions are of the dry variety and have a purple shell. They are semi-sweet and actually can grow quite large. They do not keep long as their fleshy inside layer is very thin. Raw red onions are popular as toppings for a salad as well as cooked in dishes. Though commonly thought of as a separate vegetable, shallots are actually part of the onion family. They have a mildly sweet flavor and are grown the same way as garlic. They are slightly more delicate than other onion varieties and are best used in fine, thin sauces. The Vidalia is considered the sweetest onion variety. They are rounded with flat bottoms and have a copper-gold, thin skin with milky, white flesh. Their delicate sweetness can be attributed to a mild climate, sandy, low sulfur soil, selective seed varieties and farming practices. Scallions are another green onion known for their mild taste and decorative appeal. The stems are the edible part and are usually diced up in a vegetable medley for seafood and meat dishes. Yellow Onions are the most common onion characterized by a brown shell and white fleshy insides. These onions have a strong, sharp flavor and its taste cuts through when used with multiple ingredients. These onions have a white skin. They have a strong flavored flesh that is usually used in Mexican recipes. These can be sauteed to a deep brown color. They are great in recipes that require a sweet and sour flavor. These onions are a small-sized variety, that are also called baby onions. They are sweeter than bulb onions and are often used in casseroles. This is a sweet onion that is not very pungent when compared to other varieties. It is a big onion that has white flesh and a mild flavor. It is often used as a condiment on hamburgers. Boiling onions are good storage onions. They have a very thin skin and this makes them a favorite ingredient in stew recipes. Cipollini are small onions that originated in Cipolla, Italy. They have a very rich and sweet taste with a high sugar content. They tend to be as small as a ping-pong ball and have a flat top. They are used in baking dishes, such as roast chicken and roast pork. Also known as tree onions or walking onions and they grow as a cluster of bulblets. The name “Walking Onion” was given to this plant because it literally walks to new locations. When the cluster of topsets becomes heavy enough, it will pull the plant over to the ground. They have a strong flavor and have a tough skin. They are elongated in shape and look similar to scallions. Green onions are small varieties that are harvested when the shoots are still green. They are often confused with scallions but are thinner. These are used as toppings for many uncooked dishes. Pickling onions are usually thin layered and small. They are similar to pearl onions but a little larger, yet a little smaller than boiling onions. Pickled onions have a very pungent flavor. These are long storage varieties that come in yellow, white and red colors. Each variety has a distinct taste and flavor. They are also known as summer onions. They come in three different varieties red, yellow and white. They are very thin-skinned and light in color. They have a high water and sugar content. They are usually used for salads and recipes that do not require long cooking. This North American native spring onion is edible in its entirety, from the tops of its lily of the valley looking leaves and stems, all the way down to the bulb. Eaten raw, a ramp tastes strong and more like garlic than scallion, but if cooked, its flavor turns mildly sweet. They are also used in salads. Heat a large skillet over high heat. Add oil and swirl to coat. Reduce heat to medium. Cook onions, stirring often, until very soft, about 30 minutes. Stir in mustard powder, salt, and turmeric. Cook, stirring often, for 3 minutes. Stir in cider vinegar and raise heat to high. Add pale ale, and cook, stirring often, until mixture is thick, about 5 minutes. Let cool completely. Cornflakes and a hot sheet pan are the secrets to the crispiness of these onion rings. In a food processor, pulse cornflakes and breadcrumbs until fine crumbs form, then transfer to a medium bowl. In another medium bowl, whisk together egg, buttermilk, flour and cayenne. Season with salt and pepper. Arrange onion rings on sheet. Bake, turning once, until onion rings are golden brown, about 16 minutes. Season with salt. Use as a topping for bruschetta. This sauce is also very good on a hamburger. You can skip the ketchup. Heat oven to 200 degrees F. Line a baking sheet with foil or parchment paper and spread tomatoes cut side up on baking sheet. Season with sugar, 1/4 teaspoon salt and 1/8 teaspoon pepper. Scatter thyme and garlic on top, and oven-dry for 4 hours. Meanwhile, in a medium saute pan, heat olive oil. Add onion and season with salt. Cook over medium-low heat, stirring occasionally, until very tender and golden brown, about 35 minutes. 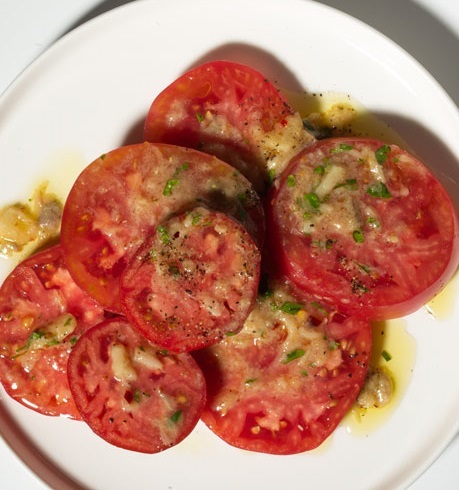 Cool tomatoes, then peel and place on a cutting board. Finely chop tomatoes with cooked garlic. Place in a bowl. Pull oven-dried thyme leaves off their stems and add to the tomatoes; discard stems. Add sun-dried tomatoes, onion and basil to bowl and combine. Taste compote and add salt and pepper if needed. Use as an appetizer with Brie or other soft cheese and serve with crisp crackers or crostini. Heat butter in large pan, add onions and cook gently for 20 to 30 minutes until onions are very soft and lightly browned. Add sugar, stir to melt sugar, simmer uncovered, stirring occasionally until mixture is thick and caramelized. Add vinegar and simmer uncovered for about 5 minutes until thickened slightly. Stir in the rosemary. Preheat oven to 400 degrees F. Slice off a thin layer from the tops and bottoms of the onions, leaving at least a 2-inch diameter exposed at the top. Scoop out the inside of each onion (about halfway down) using a melon scoop or a grapefruit spoon. Season insides with salt. Transfer onions to a baking dish, and cover with parchment, then foil. Bake until just starting to soften, about 1 hour. Meanwhile, heat oil in a large skillet over medium heat. Crumble sausage into skillet, and cook, stirring, until almost cooked through, about 3 minutes. Add apple and fennel seeds, and cook until sausage is no longer pink, about 2 minutes. Drain sausage mixture. Finely chop the sausage mixture and place in a mixing bowl. Stir in breadcrumbs, parsley, sage and 1/4 cup Gruyere. Let cool. Fill onions with stuffing (about 3 tablespoons each), then top with remaining 1/2 cup Gruyere. Bake until tops are crisp and brown, about 20 minutes more.